Spit it out: in 6 words. Photoshop Tutorial – Reducing Noise in a low quality photo. Boom – Bust – Repeat. 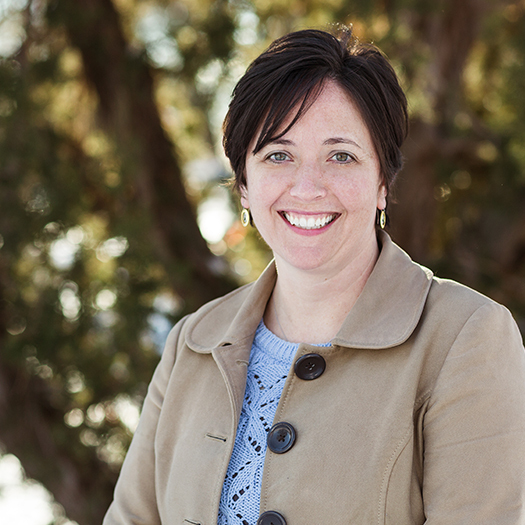 Laura has an extensive history of community planning and design experience. 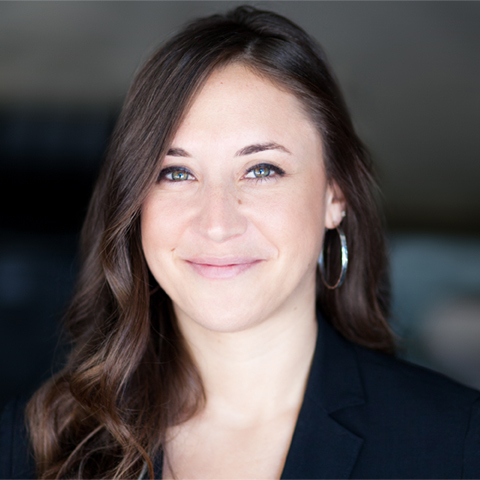 She is adept at techniques for bringing people together, gathering information and opinions, and developing consensus for project goals and design solutions. Laura believes collaboration is a key component to the success of any project and approaches every project with this philosophy. Throughout the creative design process, she remains mindful of the historic, cultural, and ecological attributes of the landscape. 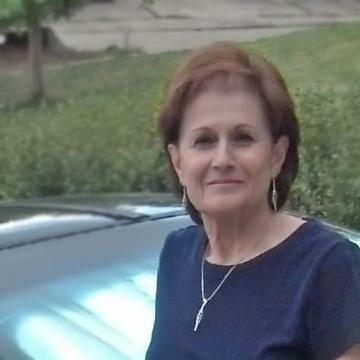 Ann is a licensed landscape architect with over 25 years of experience. Her work focuses on redevelopment and urban design. Ann also leads many of DHM’s National Park Service contracts. 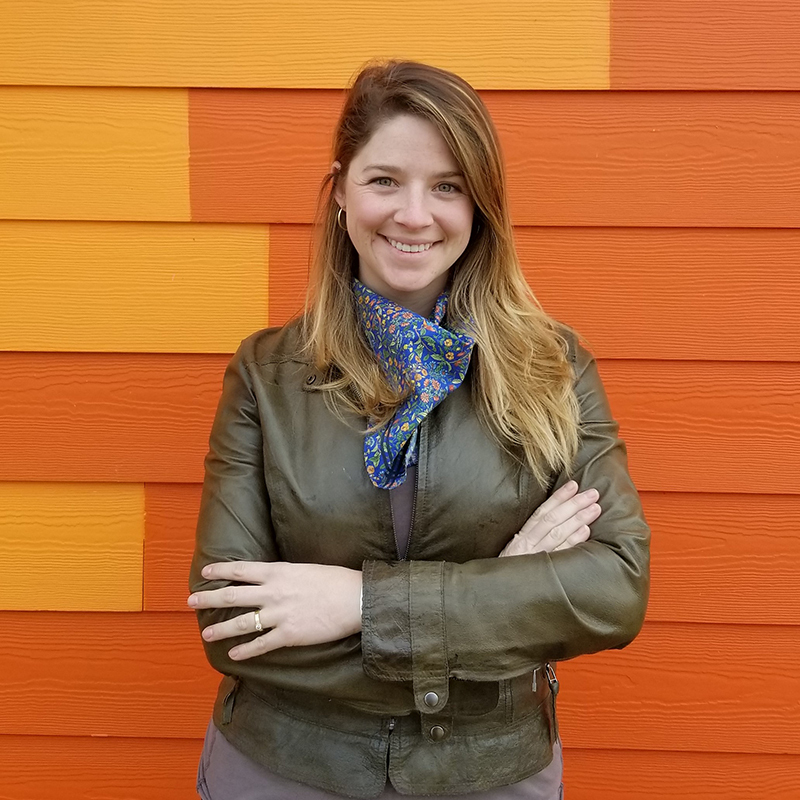 She has a strong emphasis on economic and ecological aspects of projects, seeking ways to emphasize creative design solutions that balance economic, social, and environmental sustainability. 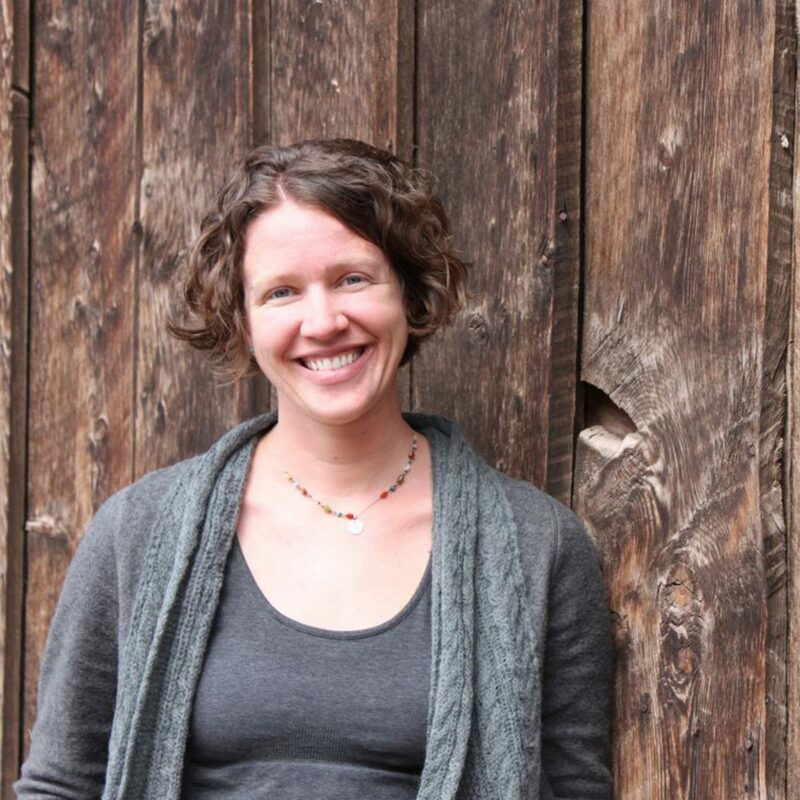 She recently participated in the design of a transit hub for the Grand Canyon and a master plan for the Crow Canyon Archaeological Center campus in Cortez, CO. Ann has managed the Durango studio since 2004, growing a diverse portfolio of projects and a staff of 8 talented employees. 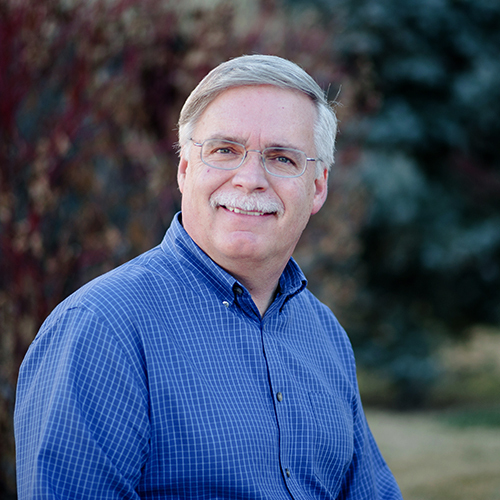 Bill has a 29-year proven track record in the planning and design of parks, trails and greenways. He understands the importance of creating spaces that benefit communities, while respecting natural systems, sensitive landscapes, habitats and cultural/historical sites. On every project, Bill considers the construction phase of a project equal in importance to the design process. Bill has managed and been part of large multi-disciplinary teams, including planners, engineers, surveyors and ecologists. Bill believes in producing high quality designs and illustrative graphics to help clients visualize the design intent. Charlie has been a project manager on a broad range of projects and has a strong background in design, hand graphics and computer-aided design technology. He has a passionate interest in sustainable design, and is committed to a design process that strives to balance site ecology with human interaction and aesthetics. 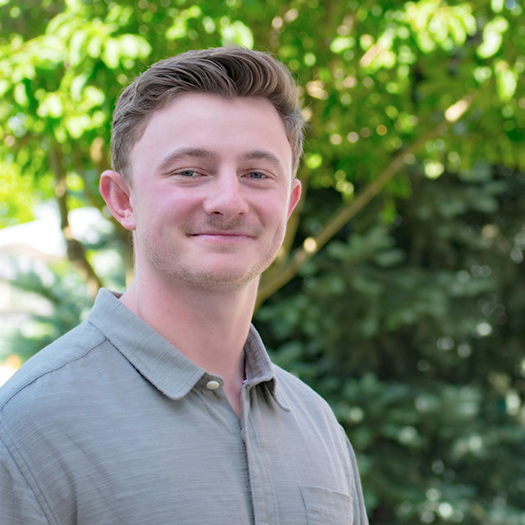 Charlie’s knowledge of innovative materials and technologies allows him to integrate new ways of thinking into every project while still being mindful of budgets and other practical realities. 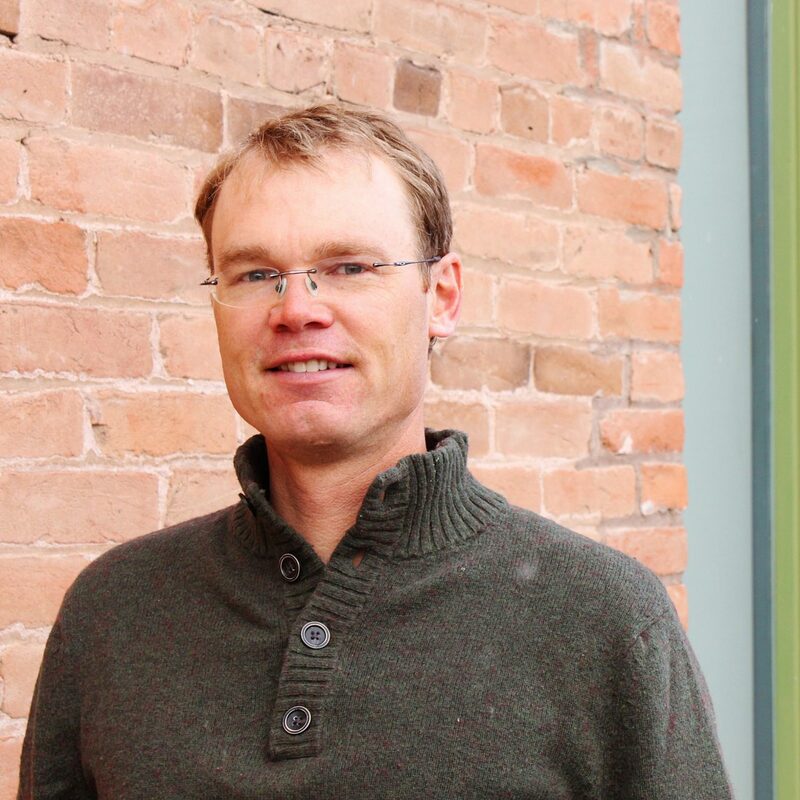 Charlie currently manages the Bozeman, Montana office and is a LEED accredited professional. 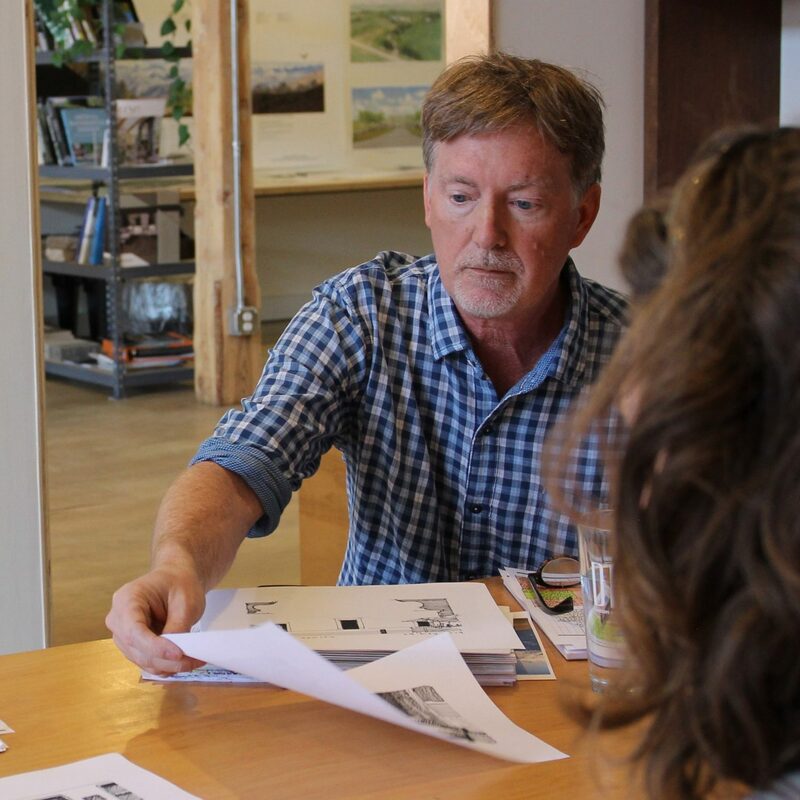 Being a landscape architect, urban designer and registered architect, Dave takes a holistic approach to planning and design. His philosophy revolves around understanding the built environment as a response to natural and cultural conditions. During his career, he has been involved with numerous, award-winning, planning and design projects throughout North America. His projects have been adopted, built, and become a source of pride in their communities. 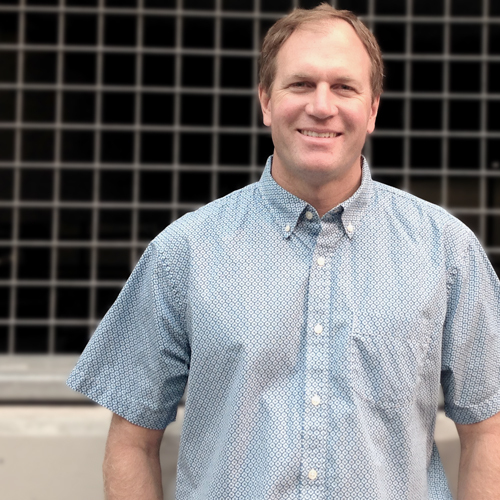 Dave’s passion lies in developing creative thought and encouraging all who he works with to find the hidden possibilities in the midst of practical challenges. 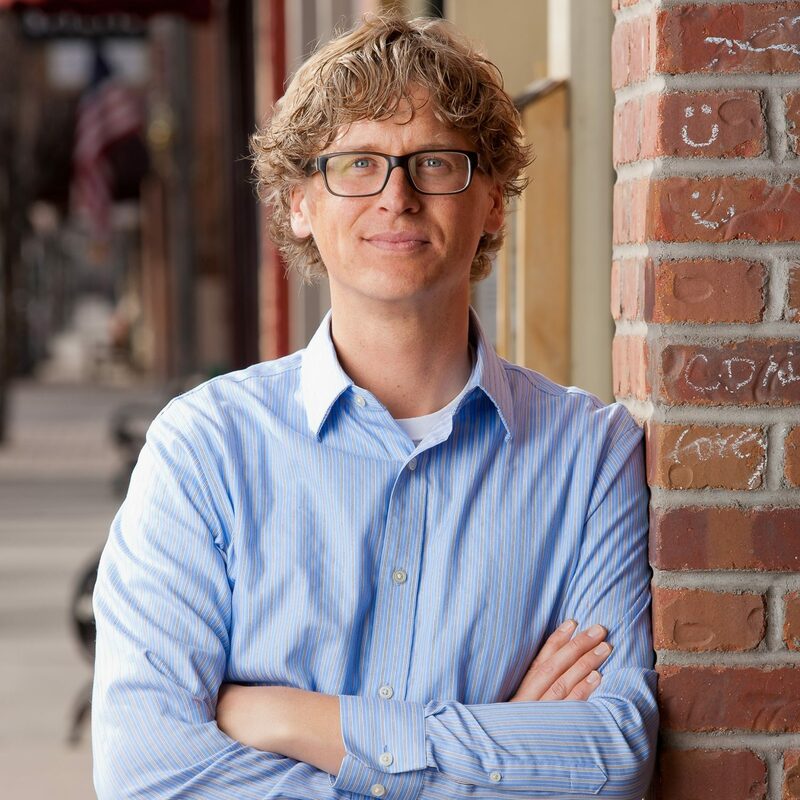 Jason has been involved in a broad range of projects, including hospital campus planning, community centers and parks, single family residential design, neighborhood master plans, and affordable housing projects. Jason has been directly involved in numerous LEED Certified and sustainably focused projects in the region. He believes that the components of environmental stewardship, functionality and human comfort are inextricable from the design process and the ultimate, lasting quality of a built project. DHM has gone through some groundbreaking changes in the past decade and Joy has led the financial and business end of the firm with great efficiency and skill. Joy is the Business Manager for DHM, helping the company through the Employee Stock Ownership Plan transition, navigating us through employee benefits and helping the firm grown to its current four offices. 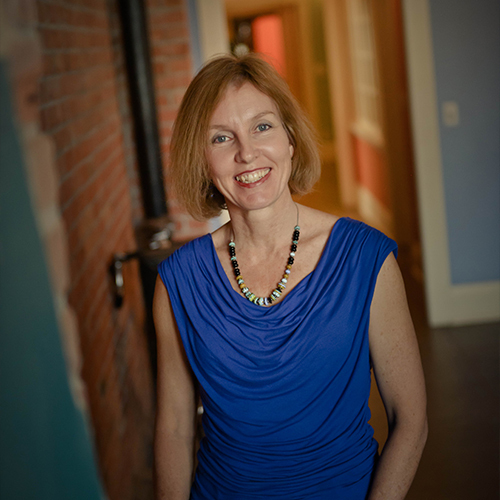 Karen joined DHM in 2001 with experience in both private and public communications, PR, business communication and design. 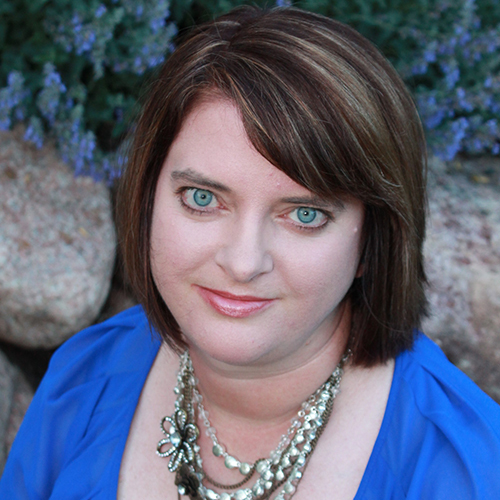 With a degree in Communications, and a decade of experience, Karen has developed the skills to create and implement marketing materials, identity concepts, publications, signage, brochures and interpretive displays for a wide variety of projects. Karen also manages the proposal and interview process, including strategy, materials and team building for the firm. She has helped win six nationwide National Park Service contracts and numerous state and national awards for the firm. Mark’s passion lies in his sketching ability. Through pencil and paper he is able to communicate to clients that the design idea is possible. 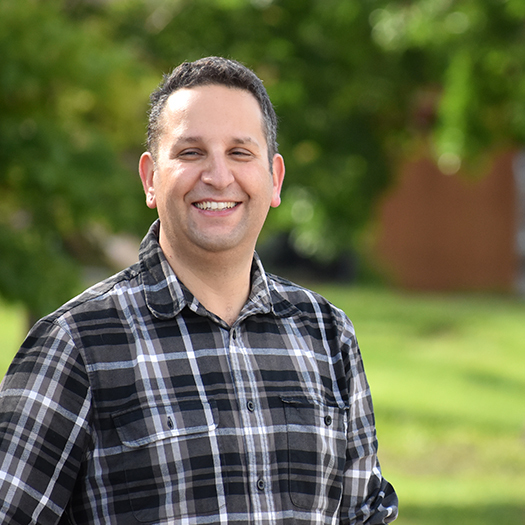 He has been involved in a variety of projects; planning and designing athletic fields, parks, trails, public facilities and residential communities. Mark’s contributions to DHM showcase his many diverse talents from managing projects to creating beautiful color renderings, planning and designing parks, trails and greenways and understanding the technical aspect of implementing these designs. His outstanding abilities have led to DHM’s success with the award-winning Sand Creek Greenway. 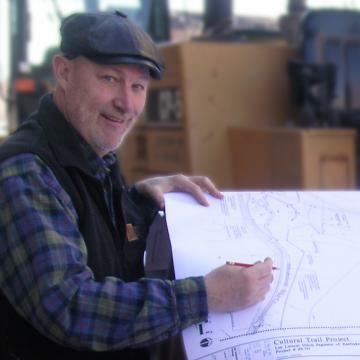 Mike has over 39 years of diverse project experience in planning and landscape architecture. As a Senior Principal, he has proven leadership capabilities in guiding complex multi-disciplinary teams and successfully navigating the stakeholder outreach and consensus building process. Mike moves effortlessly between public and private sector projects with an in depth understanding of the diverse issues that influence successful and creative decision making. Stephen has 23 years of experience in all aspects of natural resource management, permitting, and planning. 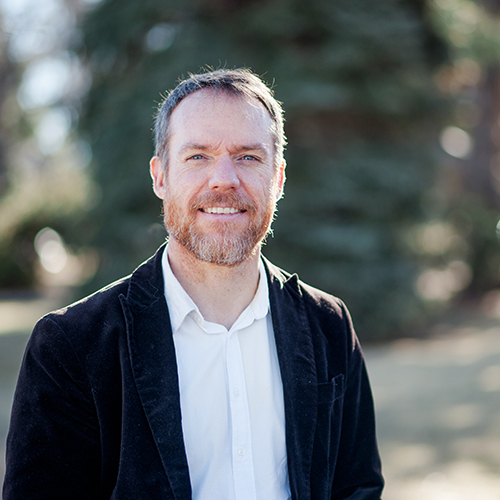 From park and open space management to wetland design and construction, Stephen’s work is permeated by his deep connection to ecological relationships. He is passionate about the protection and understanding of native ecosystems and strives to harmonize project planning with ecological conditions and future opportunities. Stephen’s ability to translate the ecological processes at work within each project is an invaluable resource that enriches both the design and the client’s attitude towards environmental awareness. 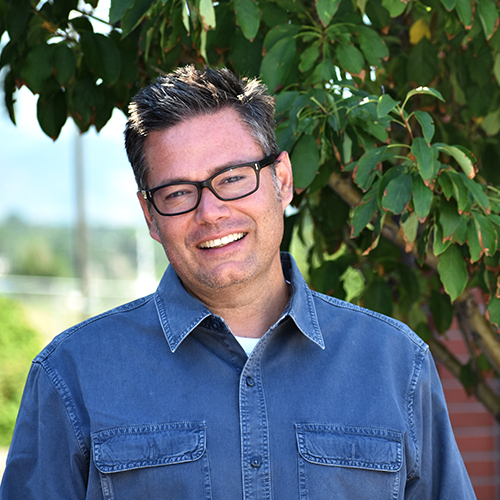 Walker Christensen is a Principal with DHM Design in Durango, Colorado. 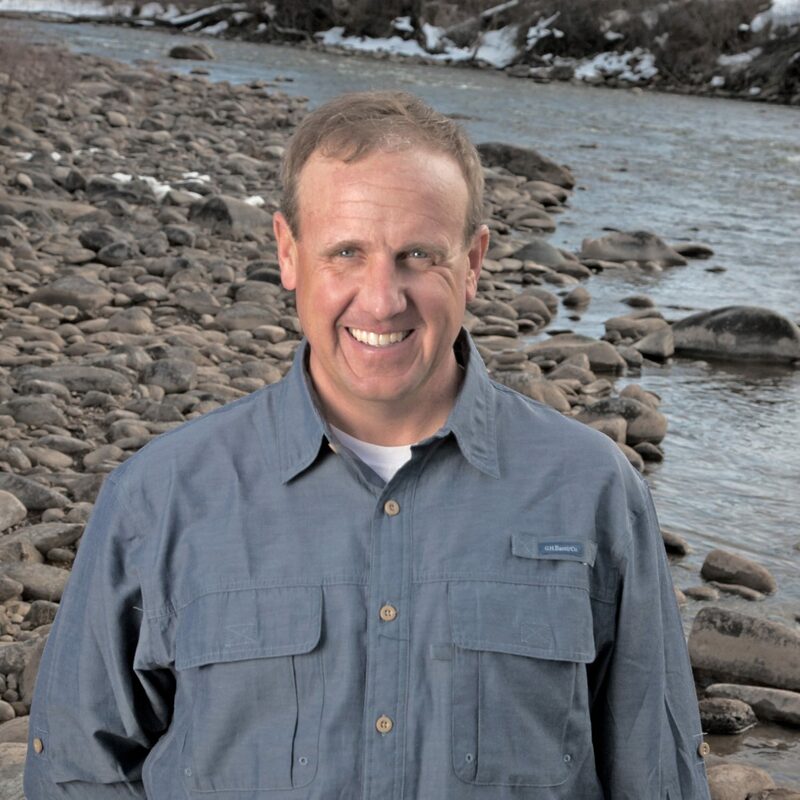 His valuable professional experience specializes in public parks, hot springs, stream and wetland restoration, stormwater reuse, adaptive reuse and sustanable design. 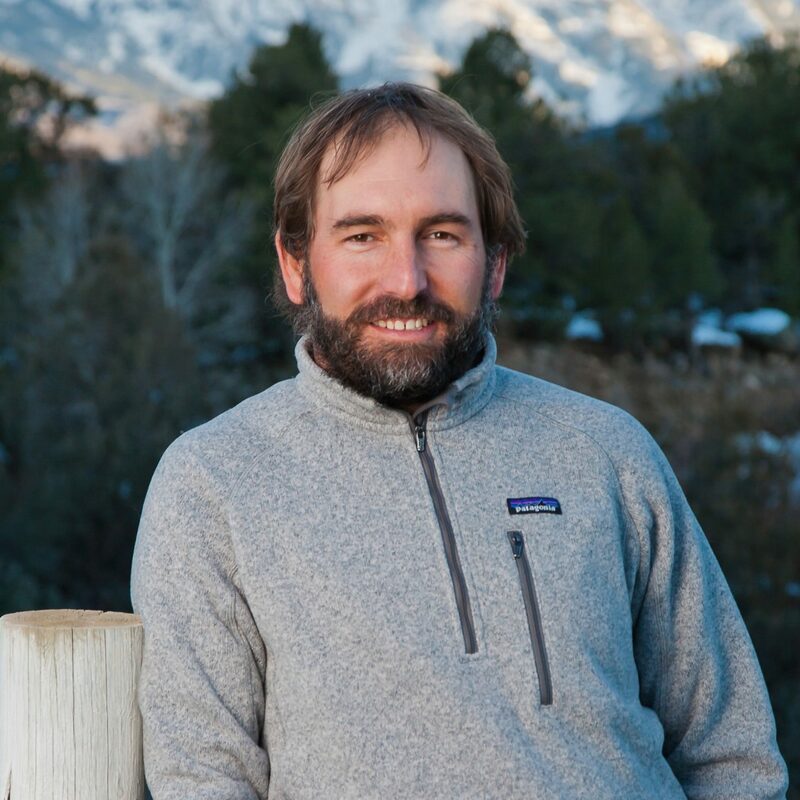 Walker has worked on many projects through Colorado and the West that involve community planning, detailed landscape architectural design, drainageway restoration, sports park, trail and wayfinding designs. He has a special affinity for projects in small towns and the positive impact they have on these rural communities. 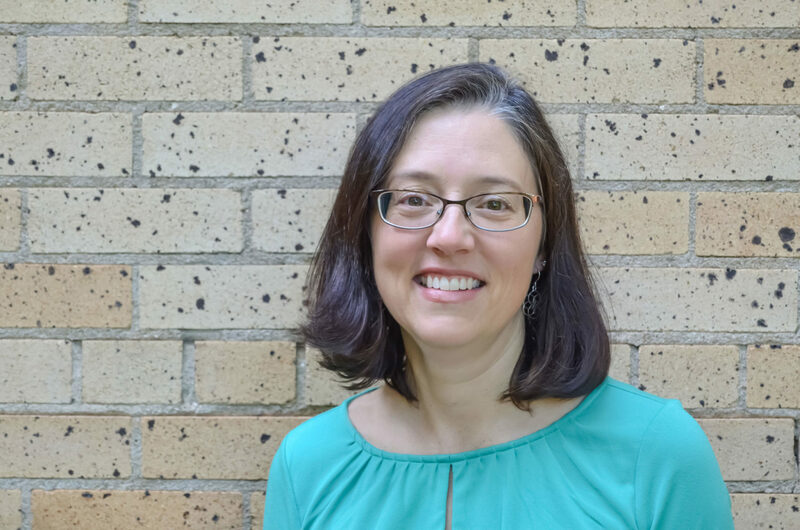 Eileen is a leader in recreational facility planning and design with twelve years of experience helping communities and federal agencies develop effective and sustainable solutions. Her dedication to responsible design and excellent client service has led to a wide range of successful projects. Throughout the design process she is always thinking about the visitor experience and how each project fits within the overall fabric of our park systems. 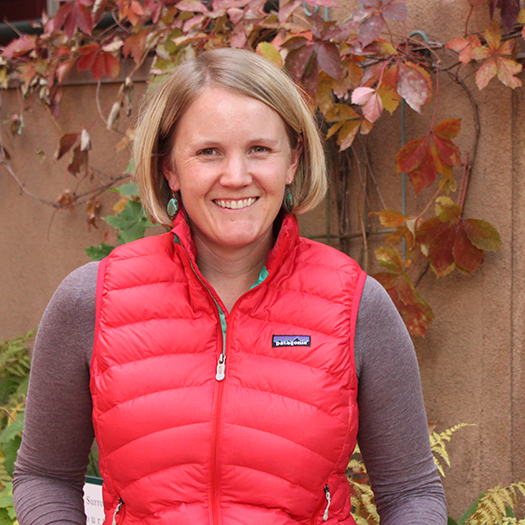 Eileen believes that with each type of project the end user, a child playing soccer, or a family visiting Rocky Mountain National Park, entrusts us to enhance our open spaces and conserve our nation’s treasures. 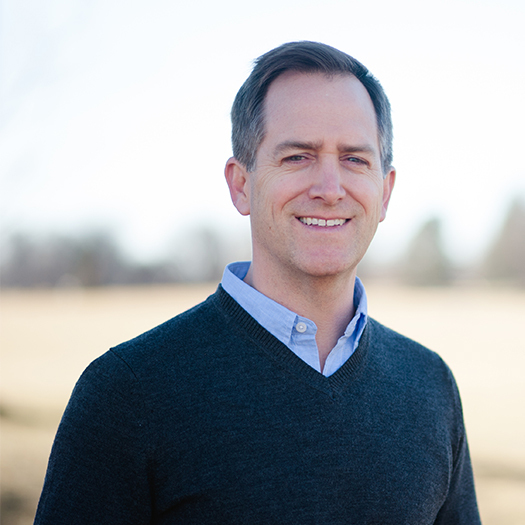 Matthew is a leader in parks, recreational, open-space, and educational campus facility planning & design with 20 years of experience helping communities and government agencies develop effective and sustainable solutions. His dedication to responsible design and excellent client service has led to a wide range of successful project types and scales. Matthew’s extensive experience with existing and proposed recreational facilities, knowledge of natural resource issues, detailed design and construction experience, understanding of development costs and outstanding communication skills allow him to exceed project management expectations. Marc is a licensed landscape architect and urban planner whose diverse project experience includes mixed-use communities, parks, estate properties & gardens and world-class resort destinations around the world. He brings a well-rounded perspective and keen insight to project teams with additional experience in construction management and economic development planning. Marc values a collaborative design process and is adept at building consensus among project stakeholders while leading teams towards sustainable and artful design solutions. Throughout his life, Alex has developed an eye for representing the natural beauty in our world. 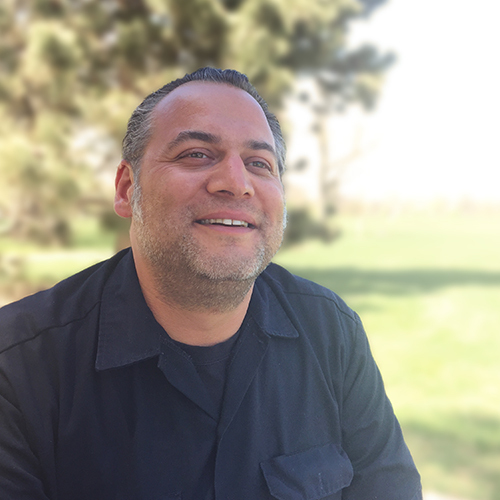 After receiving his BSLA from Iowa State University in 2012, he has further pursued his interests in landscape design and self-expression. 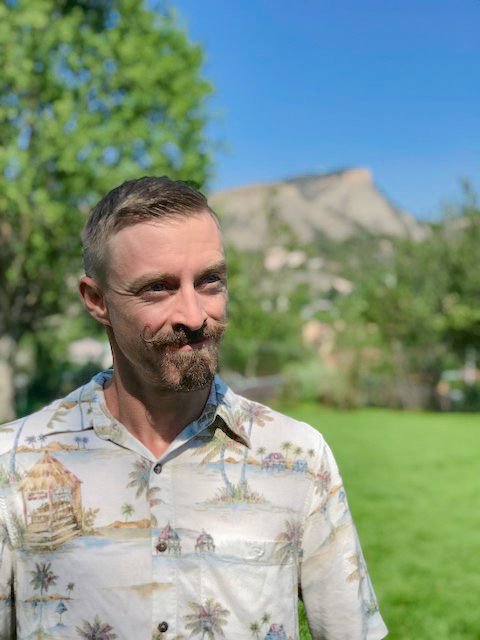 From freelance Residential design and labor in Iowa to practicing permaculture in the arid climate of Utah, he has held on to his passions of facilitating the reconnection of the people to the land, which brought him to our office in Carbondale. 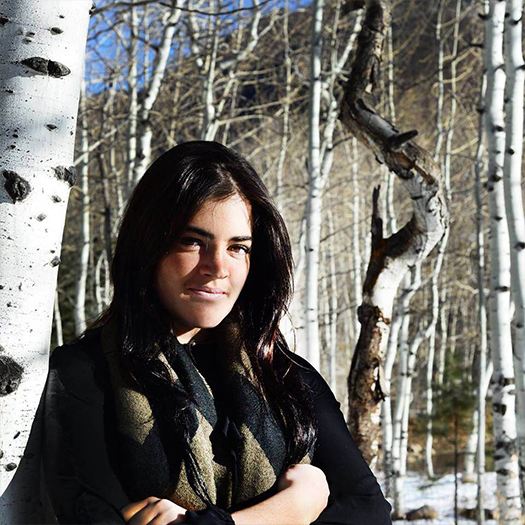 Allie holds a Masters of Landscape Architecture from the University of Colorado. She is passionate about the landscapes, ecology and culture of the American West. 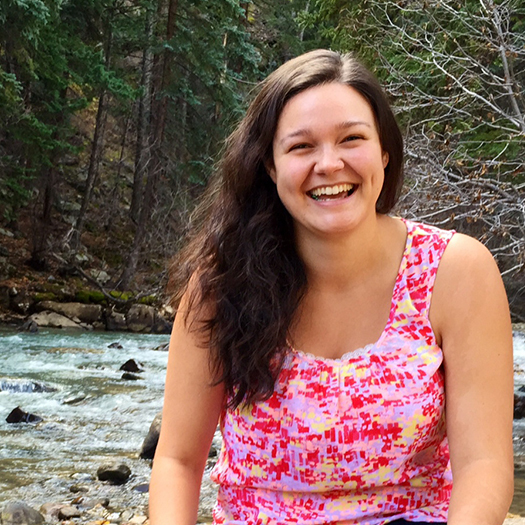 Allie is a fifth generation Coloradoan and has a decade of experience as a professional wilderness and river guide. She finds wonder in the wild and inspiration in historic and cultural landscapes. 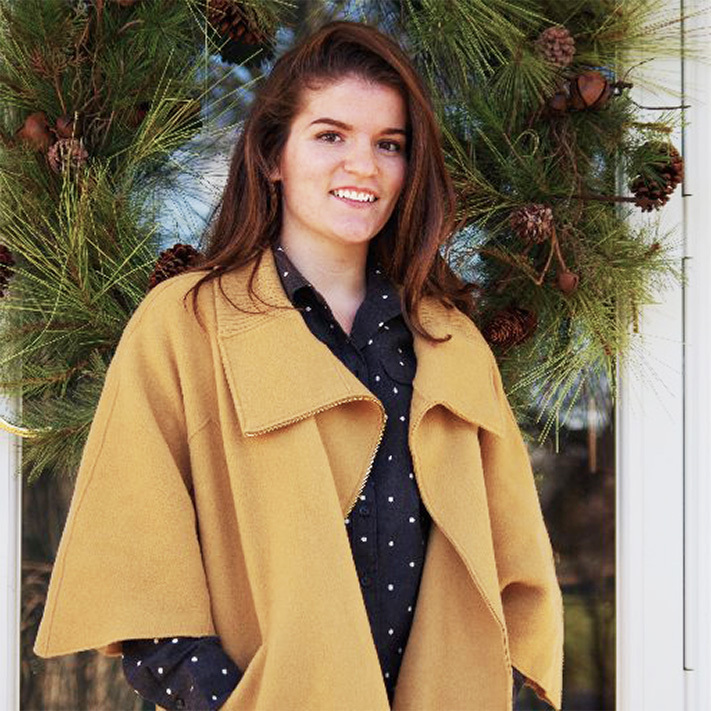 Allie believes in design that encourages curiosity and exploration. She works to foster and create authentic places that strengthen communities. Amanda joined DHM Design in 2016 to assist with accounting and finance department. She is a Colorado native and grew up in a small town in Northeast Colorado. 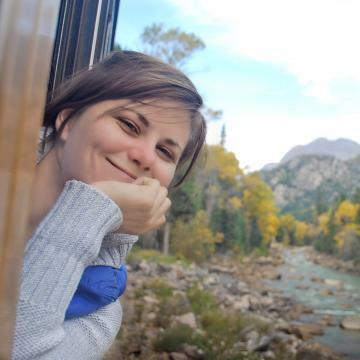 Amanda completed her Bachelors of Science in Business Administration with a concentration in Corporate Finance from Colorado State University in 2015. While there, she developed a passion for everything related to accounting and finance. 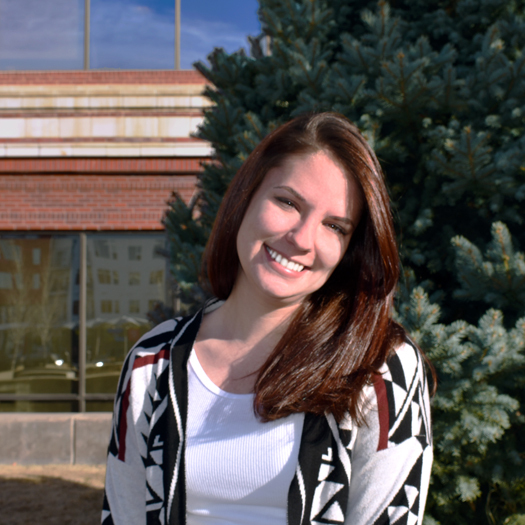 Outside of work she enjoys the Colorado outdoors and is also a huge sports fan! 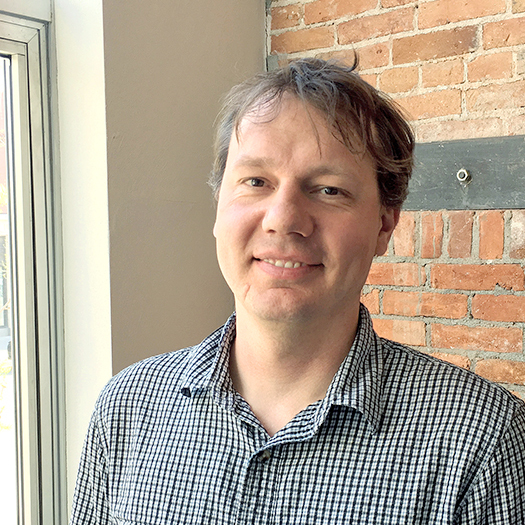 Andy joined DHM in 2017 with a passion for creating detail-oriented spaces that connect humans to nature, and the built environment to each other. He enjoys the problem solving aspects of the field and working collaboratively with a team. 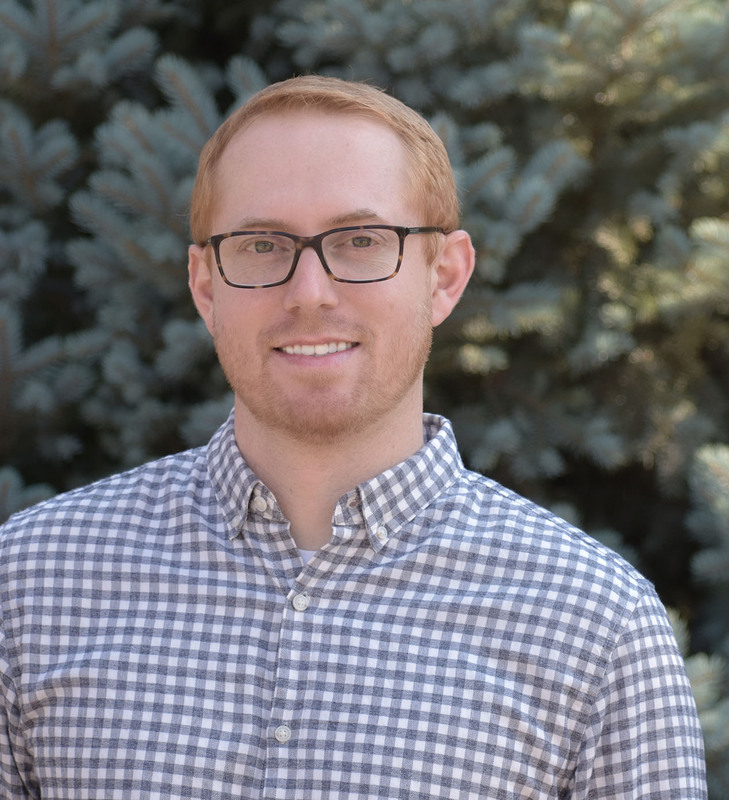 While not in the office, Andy frequents many of the museums around Denver in addition to skiing, reading and spending time with family and friends. 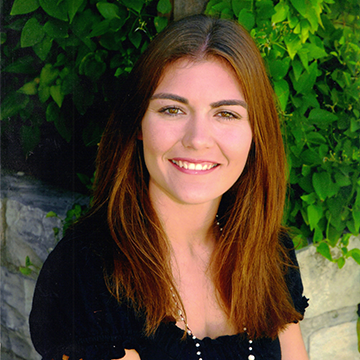 Ashleigh is a MLA graduate from the University of Colorado Denver, also earning a previous B.A. degree in Environmental Science from the University of Denver. Her background in earth sciences and interpretive tour guiding inspire her to engage projects with the surrounding ecology, geology, and social landscape. 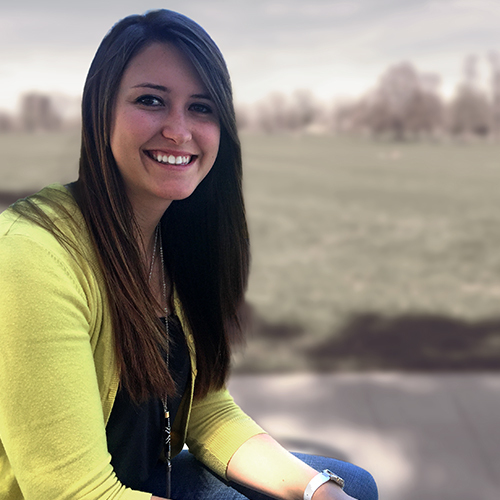 Ashleigh’s experience at DHM has included ranch master planning and design, urban parks, schools, and ecological restoration projects. Having lived in the southwest her entire life, she intimately understands Rocky Mountain landscapes and spends much of her free time exploring the mountains, rivers, and deserts of the region. Audrey seeks to develop responsible and innovative design solutions for public and private landscapes that respect and intuitively consider the ecological, social, historical, economic and aesthetic integrity of a place. Gaining her Bachelors in Landscape Architecture from the University of Oregon and working 3 years in the professional field, Audrey has grown passionate about understanding how natural and cultural systems work and how they can be created, enhanced, and revitalized through thoughtful design solutions. Representing these design solutions through the use of compelling and legible graphic representations is the challenge that she seeks to overcome in every design project. When not in the office, Audrey enjoys spending her time skiing, mountain biking, backpacking, and exploring the endless slot canyons hidden in the southern Utah desert. 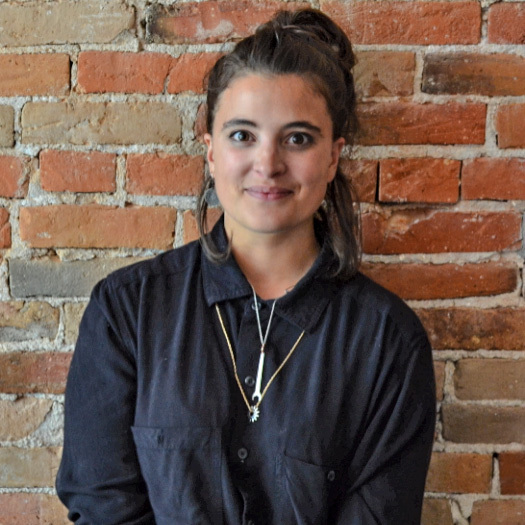 Delia endeavors to understand the nuances of how communities shape their surrounding landscape and is proud to be a facilitator in designing that environment. She is an eager learner who is passionate about designing through various mediums; however, she finds landscape to be the most fascinating and challenging, and thus the most rewarding. Cammie hopes to inspire others to respect and care about the environment through landscape design. In order to achieve this objective, she strives to incorporate sustainable and artistic design solutions that positively impact the environment while simultaneously improving human quality of life. Her personal interests in the field of landscape architecture include planting design, preserving natural systems, designing for the public sector, and creating stimulating learning landscapes for children. As a landscape architect, Chris has substantial experience in design, in-depth construction detailing, and hand drawn graphics. A native Oregonian transplanted to Colorado, his professional interests gravitate towards the sustainable use of water and the thoughtful inclusion of rainwater as a design amenity. His knowledge of materials paired with a strong understanding of construction methods has contributed to a richly diverse group of built environments. As a board member of the local Red Hill Council, he actively assists with the planning and maintenance of this popular recreational resource. Chris loves to be immersed in the outdoors and is inspired by historic landscapes that have remained functional while surviving the test of time. 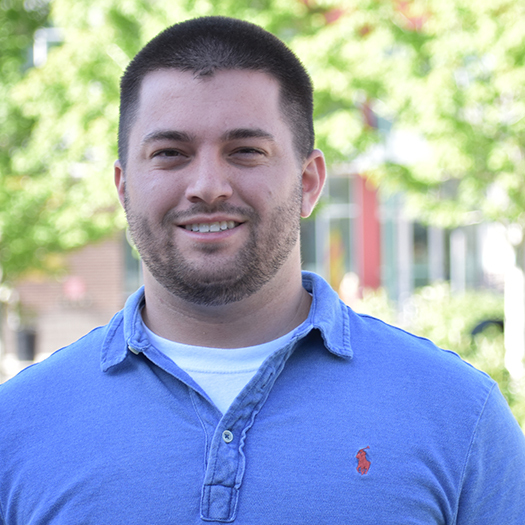 Chris recently joined our Bozeman office from New York City, where he was involved in a number of public park and ecological restoration projects; many of which included wetland and green infrastructure components. He also worked on open space master plans and flood resiliency studies for urban waterfronts. Before his time in New York, he helped design and construct water efficient native landscapes in the high desert of Central Oregon. Consistent marks of his design process are the study of local ecological communities and a desire to integrate habitat benefits into the built environment. 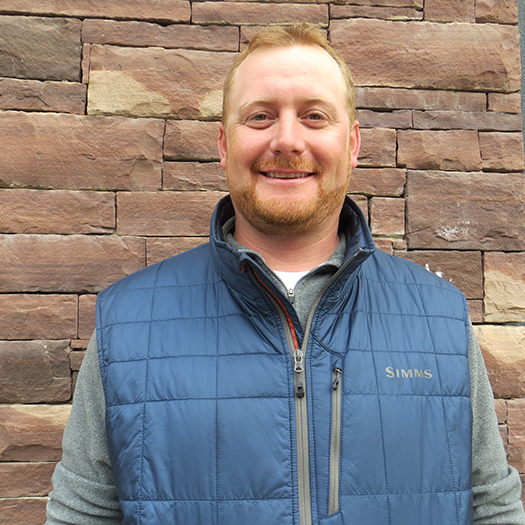 Christopher joined DHM Design as a graduate of Colorado State University, with a Bachelor of Science in Landscape Architecture. 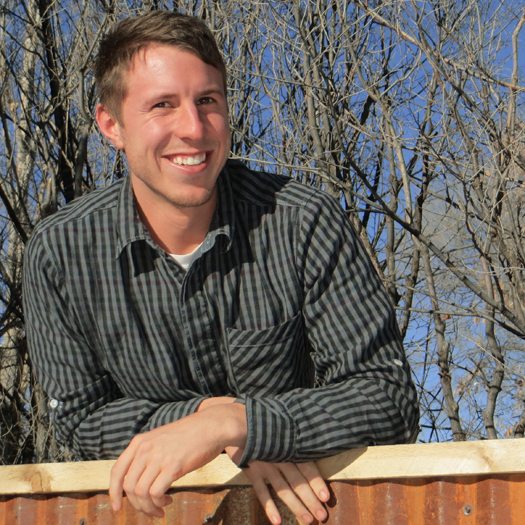 He was a 2015 Student Merit ASLA Award winner for showcasing outstanding projects throughout his time at Colorado State. Christopher is interested in designing landscapes that allow the user to interact, learn, observe nature and implement unique artistic elements of design. When he’s not at work he enjoys fishing, golfing, and being a handyman at home. Christopher also leads the Denver office’s Sketch Club which aims to provide encouragement, motivation and inspiration for sketching in public. Daniel Tal is a registered landscape architect with over 18 years of experience. Daniel has worked on a variety of projects ranging from large master plans to legacy projects in the US and internationally. Daniel is a 3D modeling and visualization expert. He has authored two books with Wiley and Sons publications on 3D modeling for professionals: Google SketchUp for Site Design and Rendering In SketchUp. 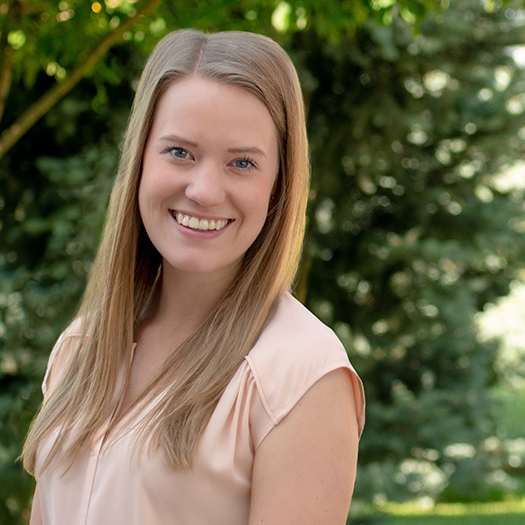 Recently graduated with a Master’s in Landscape Architecture, Elizabeth has a profound respect for the relationship between civilization and nature. Informed by her background in politics, she strives to engage communities with their shared spaces. Her metrics based approach to the activation of ‘interstitial’ spaces has led her to emphasize the importance of merging design with the latest science. When out of the office, you will find Elizabeth high above the town of Durango, CO. Establishing her own high-altitude trial gardens; she seeks to understand the interplay of color, texture and fragrance in the Colorado landscape. 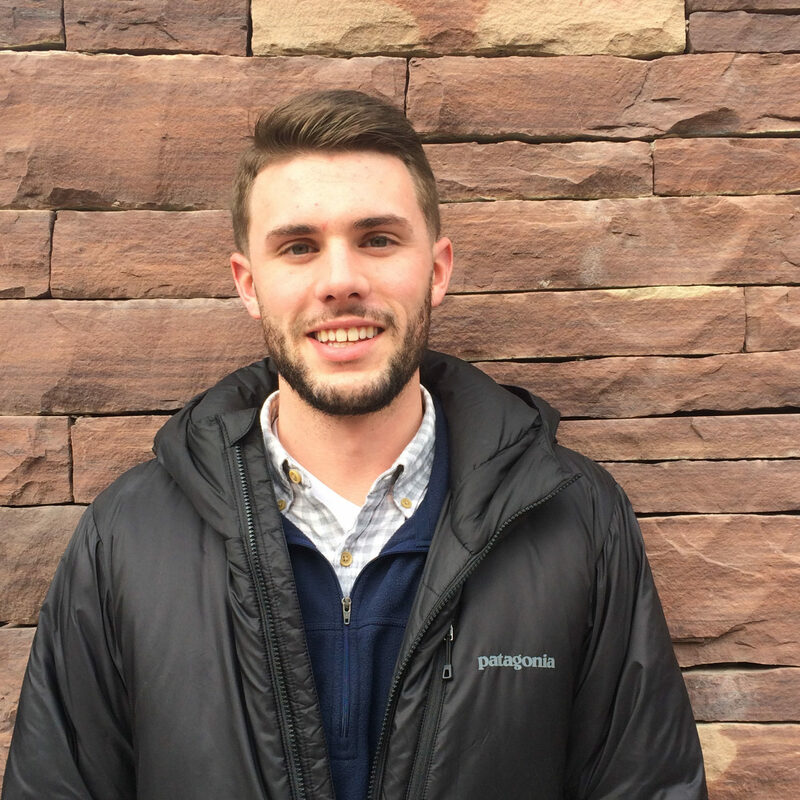 Eric joined Denver office on in 2016 as a Landscape Architect. He recently moved to Denver to work in an area that valued environmentally friendly design and is surrounded with inspiration. Upon graduating from Clemson University in 2012, he worked for two years at a small design firm based in Richmond, VA, H&G Landscape Architects. At the start of 2015, they merged with a multi-disciplinary firm, Stewart Inc., based in Raleigh, NC until his move to Denver. 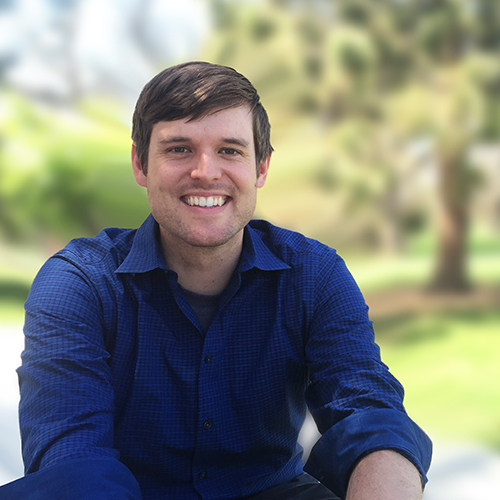 Eric enjoys all aspects of design, from public speaking to drafting supporting documents for community approval and brings creative energy and a hard work ethic to our team. Eric is an Associate in the Bozeman office. He is an accomplished designer and project manager and has a wide array of experience ranging from urban plazas and mixed-use developments to resorts and public parks. 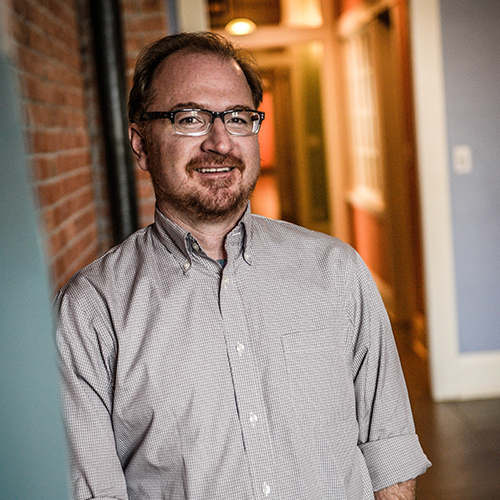 Eric is committed to design excellence and integrating local perspectives into individual project design solutions. With a strong set of analytical, technical, and creative problem solving skills readily applied to all projects and phases. Garrett Watkins is a recent graduate from the University of Oregon. He received his Bachelor Degree in Architecture with a minor in Environmental Studies. His interests in Landscape Architecture revolve around the understanding of place and how designers can create meaningful solutions for people and their surroundings to engage with one another. While at Oregon, Garrett’s work was mainly focused on the interaction between the built environment and systems of landscapes. After graduation he began an internship for the National Park Service as an Ecological Restoration Worker in the Yosemite Wilderness . His interests outside of architecture involve backpacking, rock climbing, skiing, and biking. 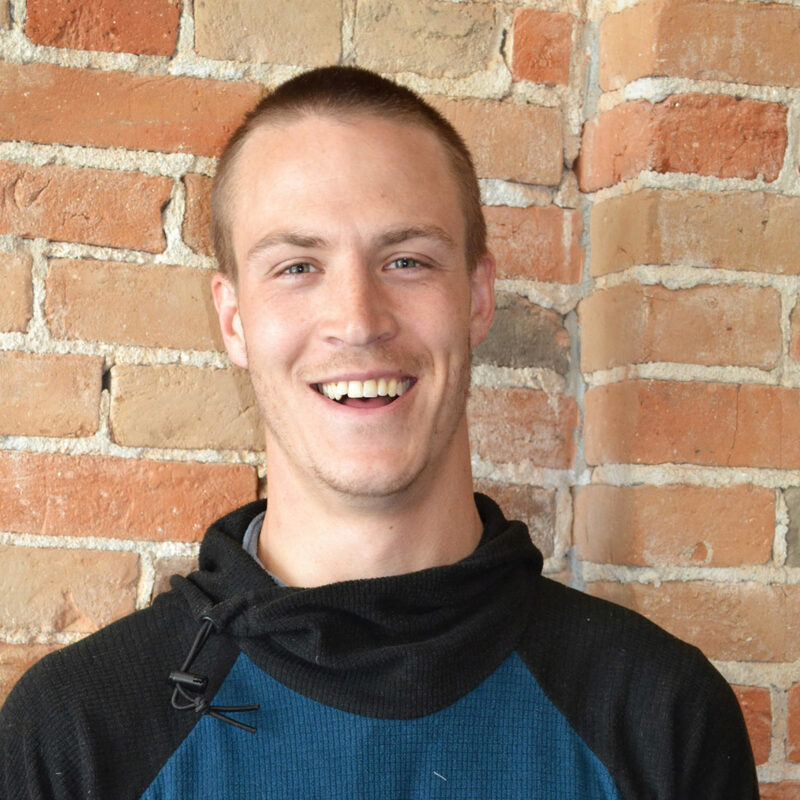 Raised on a farm in rural Iowa, Greg has been working and playing in the outdoors for most of his life. These experiences have provided him with a deep respect and understanding for the way that successful landscapes are designed to gracefully integrate into their surroundings; be it urban, rural or wild. 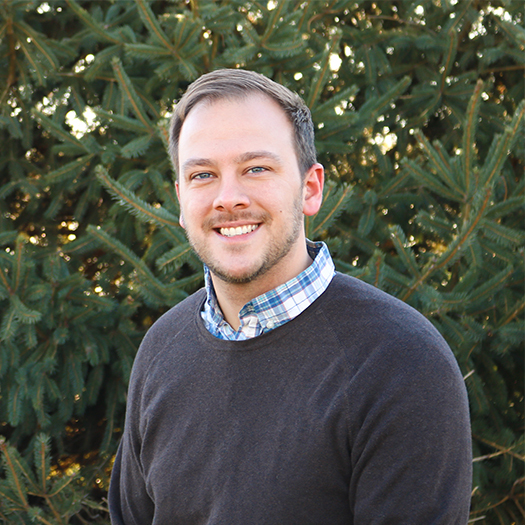 Greg is a recent graduate of Iowa State University with degrees in landscape architecture and environmental studies. Since joining DHM, he has applied his skills and creativity on a variety of projects that include trails, parks, winter resorts, and recreational facilities. Greg is driven by the opportunity to improve the places where we live our lives in a way that gracefully balances function, culture, economics, art, and ecology. Griffin is a graduate of the North Carolina State University College of Design with a degree in Landscape Architecture. He is a painter, a professional muralist and aside from his stellar hand graphics and keen design eye, Griffin is an inspiration to all with his unparalleled enthusiasm, eagerness to learn, and thoughtful design mind. When he’s not hard at work designing, you can usually find Griffin riding his fixed gear bike around Bozeman and surrounding landscape. Henry considers himself a citizen of the world where he is enrolled in the school of life. Since 2013 his passion for cultural landscapes, community action, and participatory design have helped him secure internships and scholarships to explore, volunteer in, and research unique places around the world. 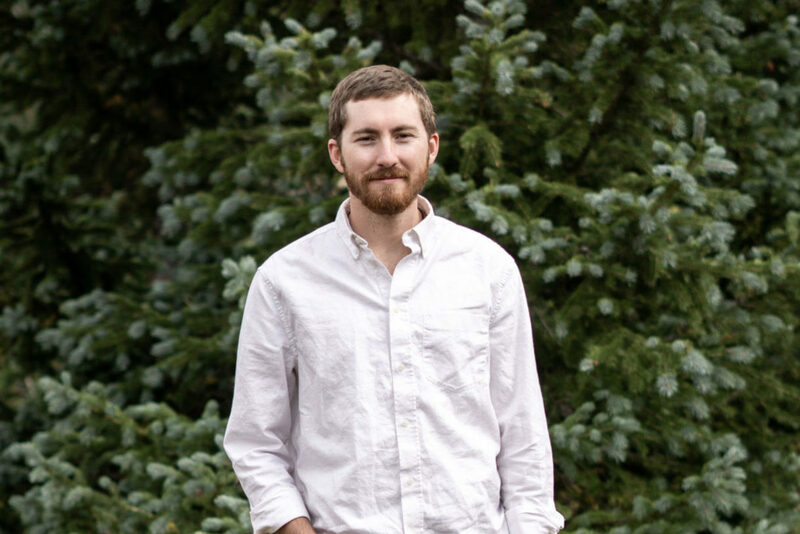 Henry graduated with a bachelor’s degree in landscape architecture from Iowa State University in December of 2017. With a strong background in architectural studies, art, and landscape architecture, Jen believes in the transformative value of detail. She uses color, texture, and materiality to shape the client’s experience and to define the personal expression of the space. Her studies in Turkey focused on balancing the impacts of tourism and development with the preservation of authentic character. Through her service on the Planning and Zoning Commission for the Town of Carbondale, she embraces a similar challenge closer to home. 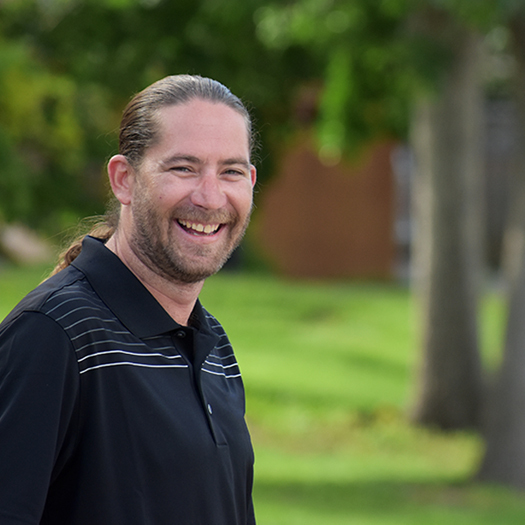 As an environmental planner and natural resource coordinator, Jeremy has experience in fisheries and wildlife investigations; aquatic resource studies; riparian and aquatic habitat assessments; hydrologic assessments; impact assessments and stream restoration design and construction. He has experience working on large scale, multi-year NEPA development projects as well as small localized stream restoration projects. 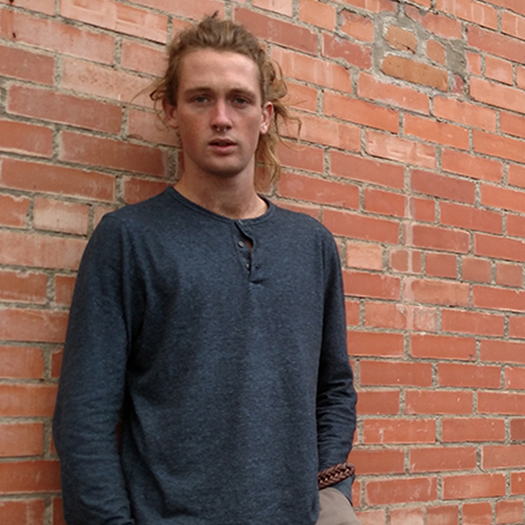 A native to Colorado, Jeremy gets his inspiration from being outdoors, hunting and fishing. Professionally, he believes in striking a balance between environmentally responsible development and protection of natural resources. Since 1994, Josie has kept DHM’s accounts payable and receivable in top form through the growth of new offices and entry into new markets. Her administrative and accounting skills have been instrumental to DHM’s success at keeping project management costs down and streamlining the billing process for all our clients. Josie generously shares the fruits of her summer gardening with the office and stories of her amazing grandson’s baseball games. 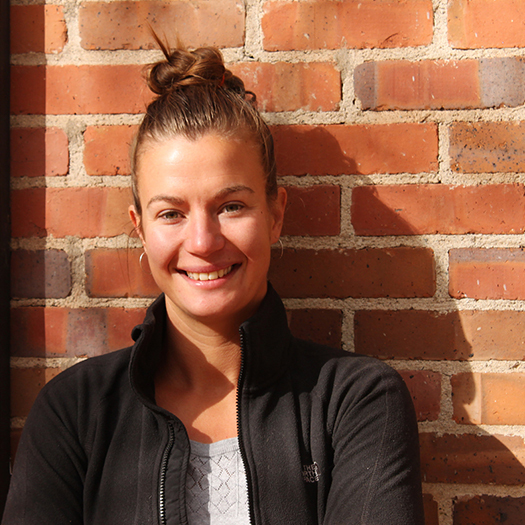 Katie is a Senior Associate at DHM Design with over 12 years of professional experience in landscape architecture. 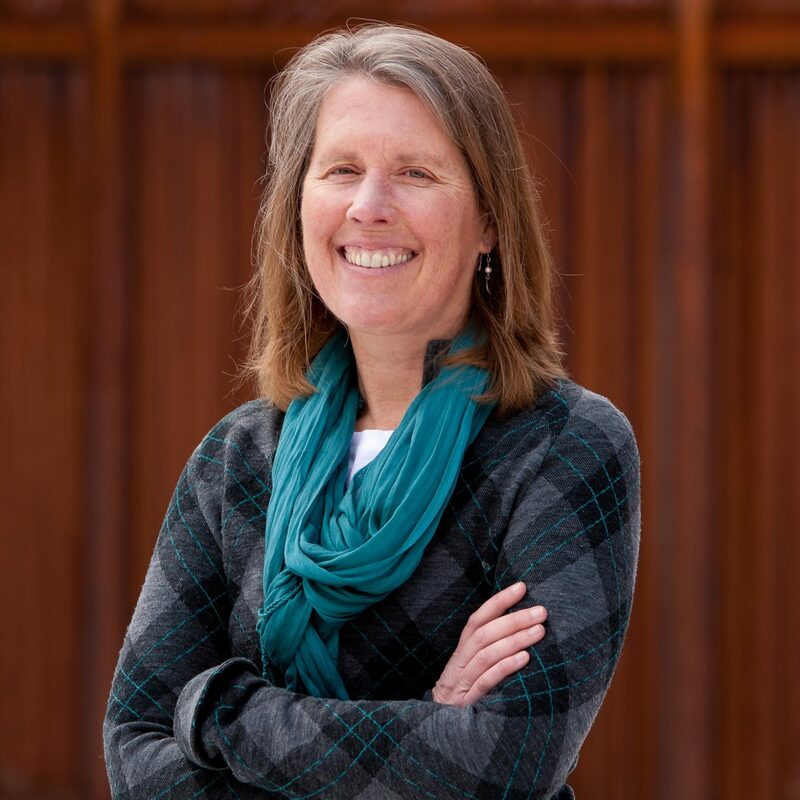 Her portfolio of work ranges from master planning large scale projects, including a 10 mile riverway in Montrose and potential recreation opportunities for a lake outside of the City of Durango. 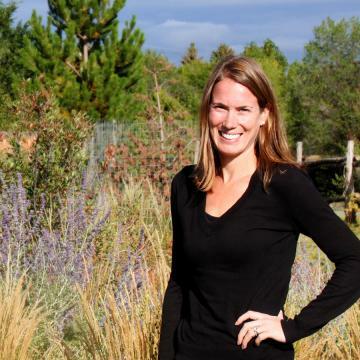 She also has vast experience in site plan design with involvement in multiple LEED certified projects across southwest Colorado and the surrounding region. Her true passion lies within working in smaller communities to design innovative, functional and sustainable spaces creating a true asset to the public. 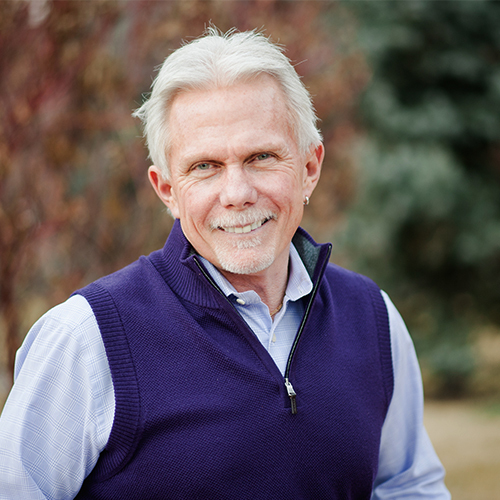 Ken joined DHM in 2011 with exceptional graphic expertise. With his degree in Computer Imaging and background in graphic design and print production, Ken is able to design wayfinding signage, interpretive displays, identity and branding material, master plan reports, advertisements, brochures and many other graphic design materials for any type of project. Ken has successfully designed wayfinding and interpretive displays for small and large outdoor public spaces throughout the front range with outstanding results that set DHM apart from the competition. 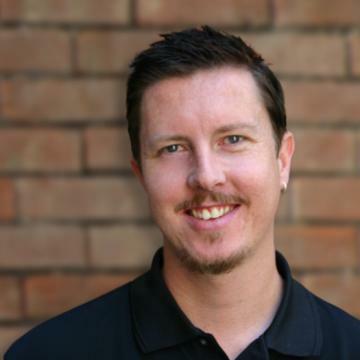 Kyle Davis joined DHM in 2006 after graduating from Colorado State University. His interests in connecting people with nature, sustainable design and creating exciting outdoor spaces have led him to work on projects that focus on offering unique places that are mindful of the environment and have lasting value to their communities. Inspired by nature and building upon other great ideas, he has brought a fresh perspective to DHM’s planned community, residential, streetscape and park design projects. Mark has been involved in a variety of projects designing parks, trails, public facilities and residential communities. He has extensive experience utilizing computer-aided design technology in the design process and construction documentation. His strengths in sustainable design and construction administration is highlighted below. for her selfless commitment to leadership and service in the landscape architecture field. Michaela has a deep appreciation of nature and the built environment along with a commitment to resourcefulness. Her passion for land stewardship and conservation began with her rural background and drew her to the profession of Landscape Architecture. 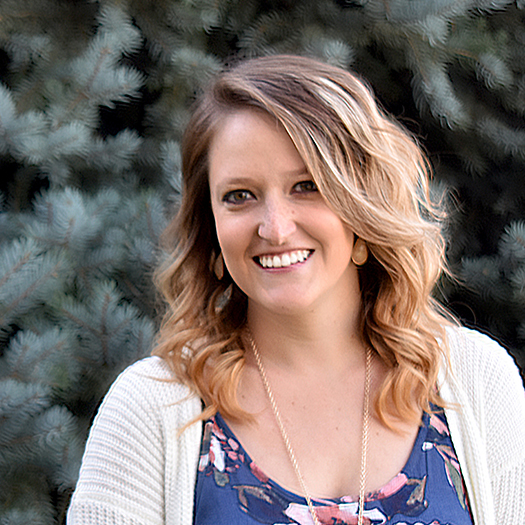 Michaela strives to design creative, functional and engaging spaces for all and has worked on projects ranging from the Pikes Peak Summit Complex to Aurora Sports Park Expansion. Her travels continue to heighten her awareness of cultural values and the power of place. Sam’s first experience with DHM was a summer internship in 2016. 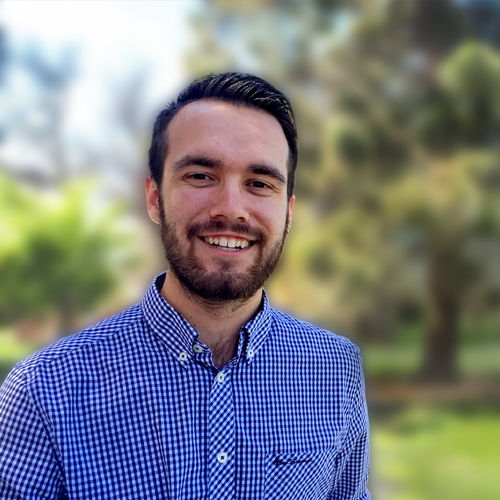 After his internship, he graduated from CU Denver with a Bachelors in Architecture, and completed another internship with 57Studio, an architecture firm in Santiago, Chile. Sam started working full time for DHM in the beginning of January, 2018. He grew up in Carbondale, CO and loves the diversity a small town has to offer. Sarah was born and raised in New York State and just planted her feet in Bozeman, her first time out west! She has lived in many places and is a total ocean dweller, but thrilled to be amongst the open air and impossibly beautiful landscape. 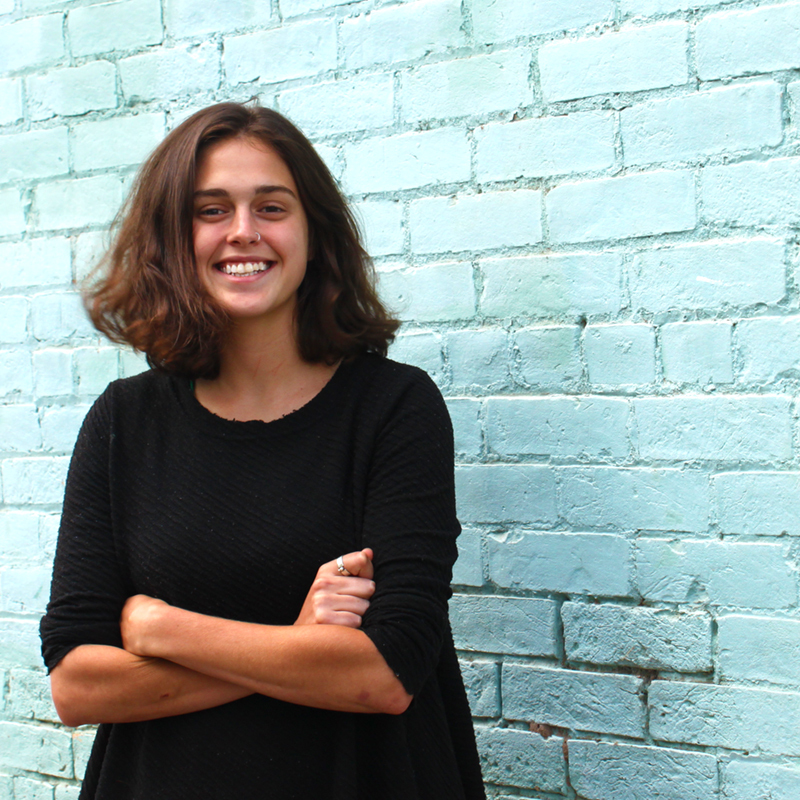 Sarah has always found herself compelled by sustainable architecture and design and is interested in pursuing a career in the field. She is an avid house plant collector and enjoys creating beautiful spaces in her home. She lives for spontaneous trips, listening to music for hours on end, and is dying to give river surfing and fly fishing a try here in Montana! Shara combines sound horticultural knowledge with creative and mindful site design and land use planning. She is passionate about the healing qualities of landscapes and energy and resource conservation. Her greatest aspiration is to promote personal and community well-being through interactions within the landscape, connecting people back to nature. Shara believes that close collaboration with clients and other team members is the key to ensuring a successful project. 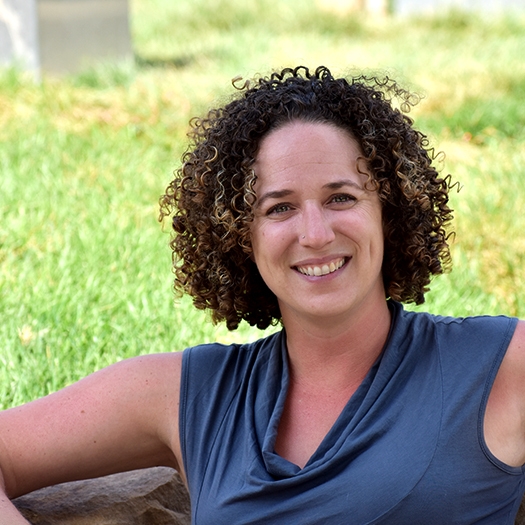 Throughout Shara’s career she has successfully led and assisted in the design, project management and construction management of over 50 landscape and planning projects ranging in scale from public facilities, high-end residential landscapes and native restoration projects in the greater Rocky Mountain region. 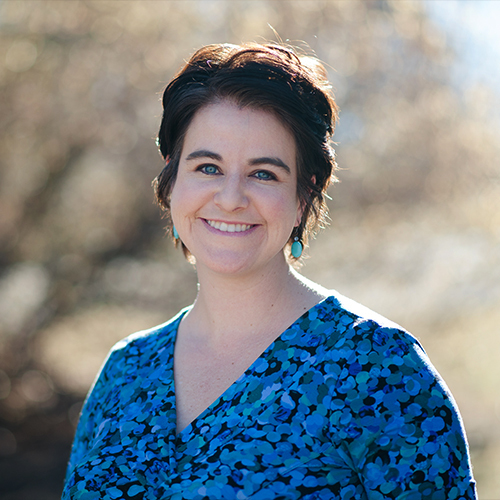 Sheena joined the DHM Denver office as a recent graduate of Colorado State University with a Bachelors degree in Landscape Architecture. She also has an Associates of Applied Science in Architectural Design and Technology and a Certificate in 3D AutoCAD. Sheena is interested in landscapes that allow you to interact and explore throughout the design. In her free time, Sheena enjoys spending time outdoors with her dog Shelby, being at the race track with her dad, and hanging out with her family and friends. 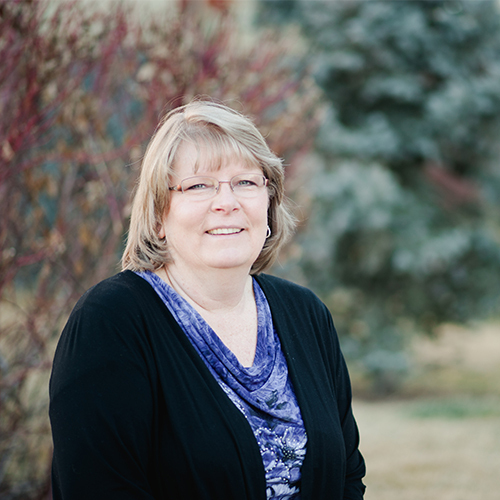 Licensed in Colorado, Susan has over 22 years of experience specializing in high end residential projects and has extensive construction administration experience. A Maryland native, she attended Penn State University where she earned a BS in Landscape Architecture. Since moving to Colorado in 1999, she is finally getting to try living on the grid and is excited to take up bike commuting. In her free time she enjoys yoga, skiing, cheering on her son at BMX races, and having a vegetable garden.